Keep your chook well fed, minimise food waste and discourage rats from setting up camp near your coop with the Outdoor Auto Chicken Feeder. 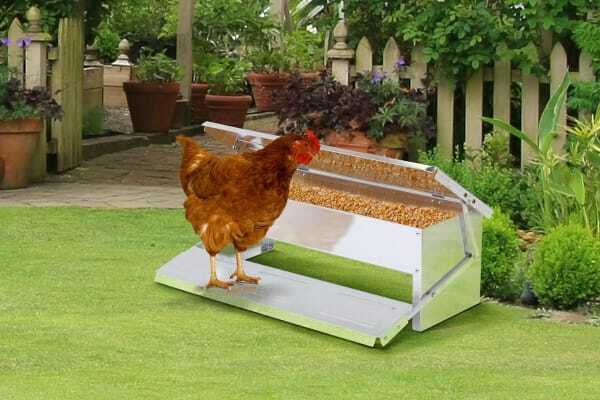 Ensure your flock is well fed even when you’re not home with the Outdoor Auto Chicken Feeder. 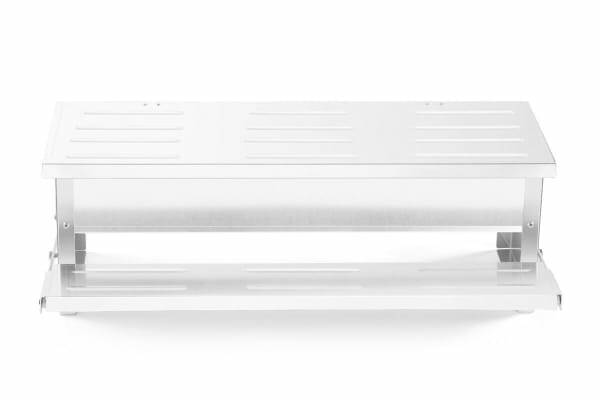 Featuring a platform mechanism that automatically lifts the lid when your chook steps on, this sturdy, waterproof auto feeder ensures your hens have access to fresh, dry feed all day round, which is optimal for healthy, laying chickens. 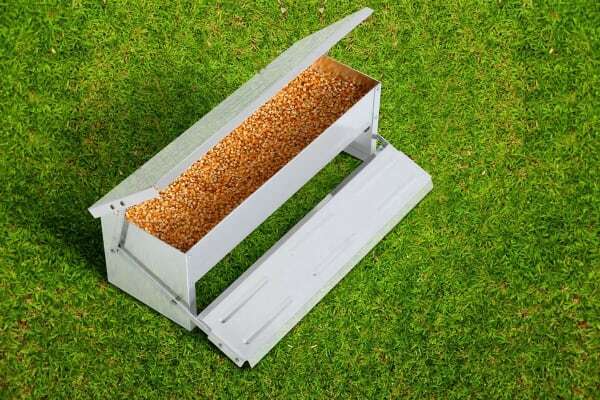 The innovative, on-demand design helps to eliminate feed spillage, saving $$ on expensive feed and discouraging nasty pests that might be attracted by split grain, such as rats which carry potentially deadly diseases.